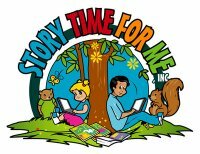 Story Time for Me is now Free! Head over to Story Time for Me and check out all the great books you can and your children can enjoy together. There are currently 31 free children's books and there is no need to register or log-in. Just visit their website and click on 'GO TO LIBRARY' button and enjoy. Each and every month they will be adding new books. If you want to receive an email alert each time a new book is added to their library, there is a section on the website to sign up. Where to Connect: On Facebook, you will be entered into their monthly raffle to win a multimedia personalized book! Please let them know Canadian Coupon Mom sent you.. Thanks! thanks for the tip. i like the story site. i'm going to check it out more with my little niece later.